Google Analytics allows you to measure your advertising ROI as well as track your Flash, video, and social networking sites and applications. Using Google Analytics and Databox together, you can generate a quick overview of traffic for all of your websites in one place. 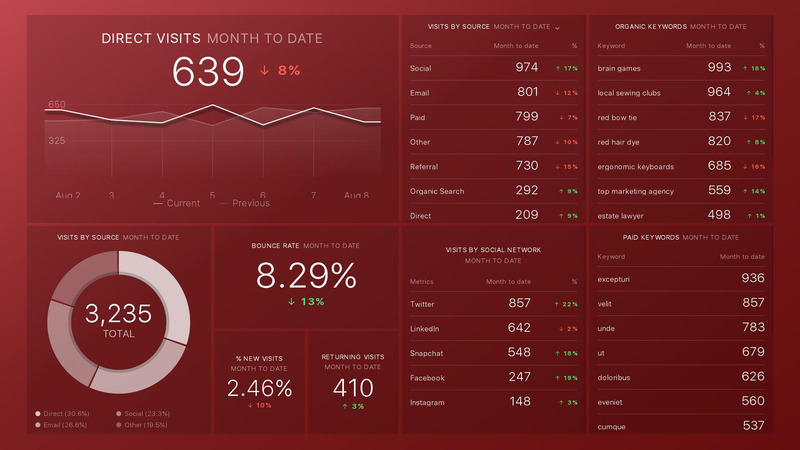 Connect Google Analytics with Databox’s action-oriented analytics platform to get reports on your website traffic, wherever you are. Navigate to "Data Manager" in the top menu and make sure that "Data Sources" is selected in the submenu. Click on the green "+ New Connection" button in the top right of the app. Find the Google Analytics logotype and click "Connect". Login to your Google Analytics account when the popup window appears. Choose the appropriate Google Analytics account and web property if you have more than one. That is it! 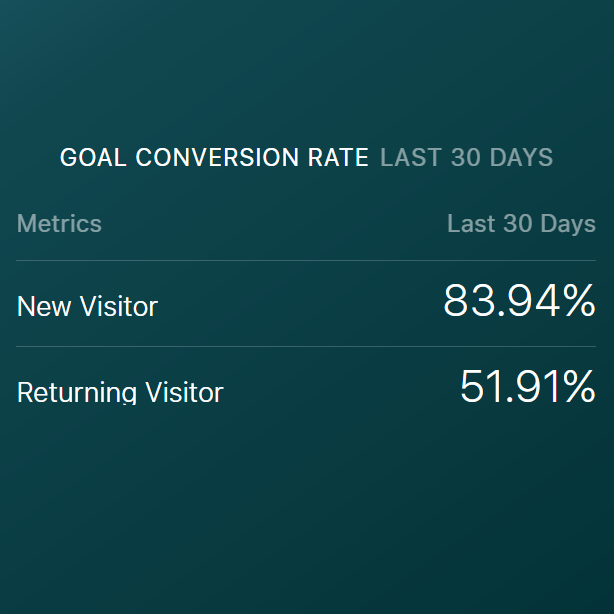 You have successfully connected Google Analytics with Databox! Click on "Templates" in the top menu. Choose Google Analytics in the "Used data sources" drop down menu. Hover over your desired template and click "Use template" button. If you have multiple Google Analytics accounts connected, select the one you want to use to populate the databoard in the drop down menu. 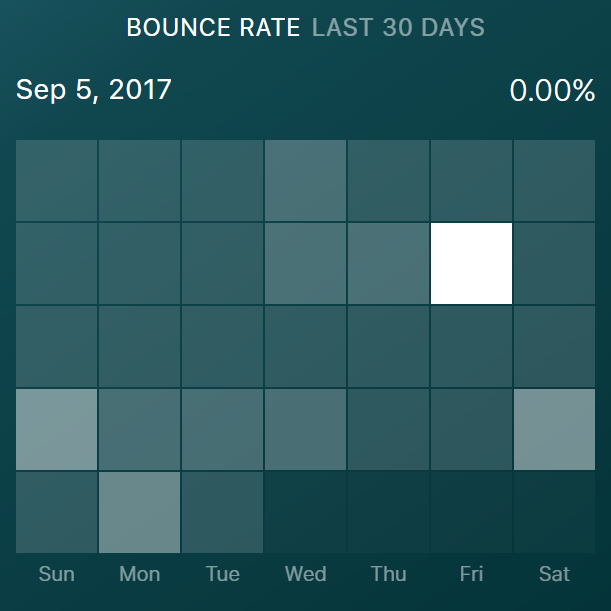 Once a template is pulled into your account, you have the ability to customize the databoard using the Databox Designer. Google Analytics template that will gives you insights about your users, sessions, referrals and more. Google Analytics (Acquisition) dashboard goes deeper into your sources and reveals which marketing campaigns have been the most productive. But that's not all! Follow this link to access even more of our Google Analytics templates. If you decide not to use a prebuilt template, you have the option of using the Wizard or the Designer to create a new databoard. In this article, you can read about how to create a new databoard using these methods. 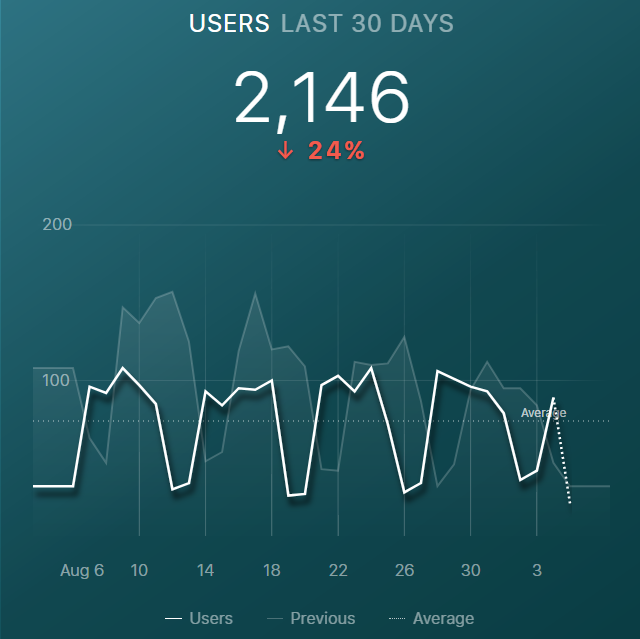 Shows the total number of users for the requested time period. 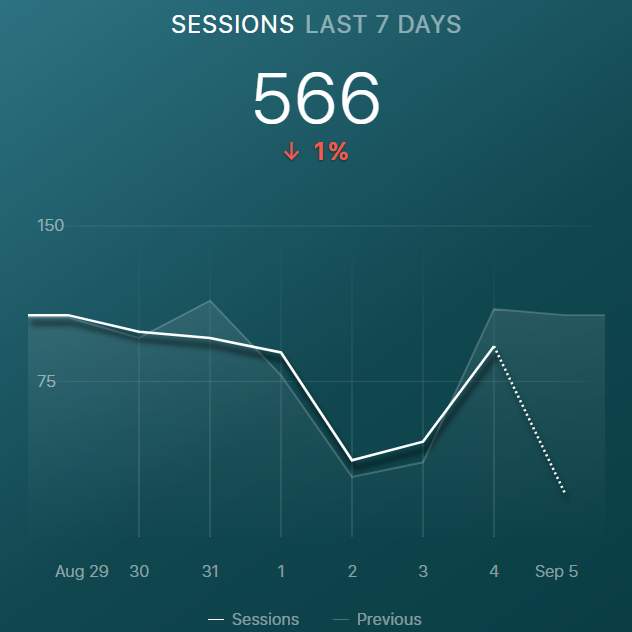 Shows the total number of sessions in the specified date range. 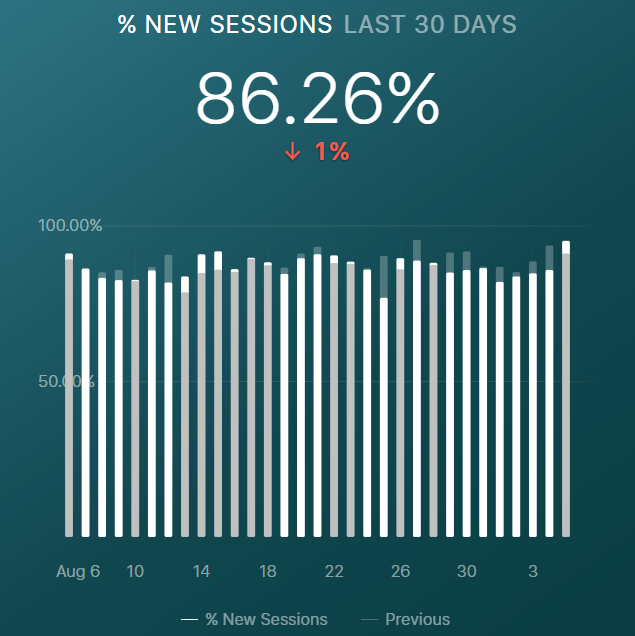 Shows the percentage of the new sessions as compared to the returning sessions. Shows the percentage of goal conversion in the specified date Shows the average duration of user sessions. 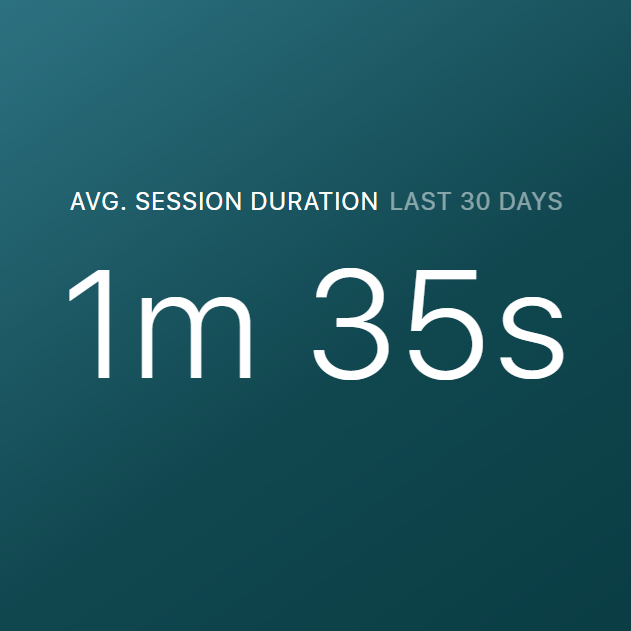 Shows the percentage of single page sessions (sessions in which the person left the property from the first page). In order to make the Google Analytics connector as robust as possible, we have created the Query Builder. This allows you to access even more metrics than we offer by default. To learn more about the Google Analytics Query Builder, read this article. How do I submit a product or integration request?